Dance Studies scholarship has extensively theorized the ways that early twentieth-century American physical culture pioneers drew inspiration from ancient Greek narratives and ideals. Focusing on two of the approaches that encapsulate this trend – Delsartian statue-posing and Isadora Duncan’s early movement experimentations – this essay proposes an alternative examination of these practices through a discursive analysis of “Hellenism” and a juxtaposition of American and Greek modernisms and histories. This exploration is conducted in three phases, from three different perspectives. 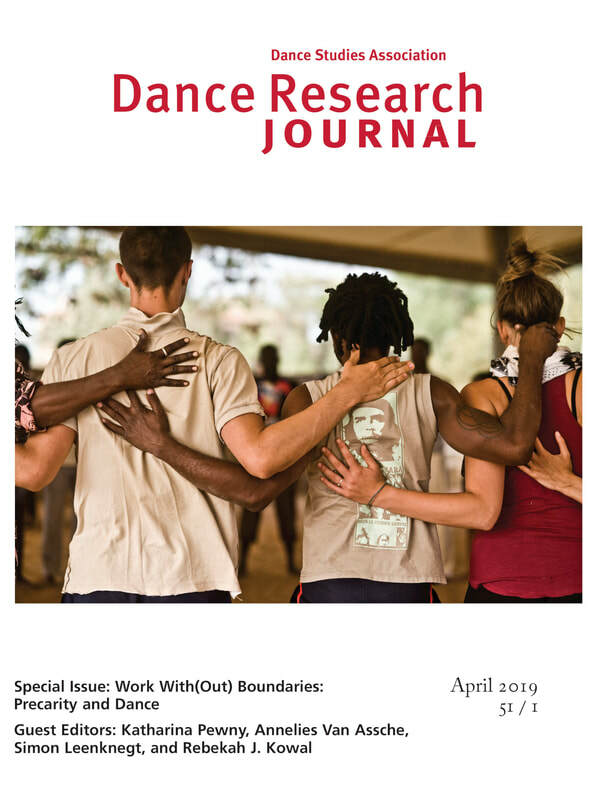 First, attention is paid to the ways that ancient Greek references have been documented in pertinent Dance Studies scholarship in order to introduce the dominant discourses regarding these cross-cultural borrowings. Secondly, a semiotic and linguistic theorization of the terms “Hellenism” and “Greekness” is conducted, which delineates the political and historical discrepancies between these terms. It thus develops an alternative theoretical framework to approach the utilization of the discourse of “Hellenism” in embodied contexts. Lastly, the semiotic discrepancies that have been exposed are brought into dialogue with the aforementioned embodied practices. The religious, political and racial connotations of Hellenism are further explored, in order to subsequently challenge established theorizations regarding the religious philosophies espoused by the practitioners, and the racial codifications of the Hellenic aesthetic. ​Click here to view the article. ​ Choreographed as a dialogue, this essay engages with the choreopolitics of recent protest in the US, such as Black Lives Matter, Women’s Marches, and popular uprisings in response to the Immigrant Bans. After a brief historicization of protests and a comparative analysis of the efficacy of several iconic protests, we focus on analyzing the form of current protests and explore the different modes of embodiment and corporeal agency that each of them promotes. Through this exercise, our intent is to raise questions about the politics of participation in these events, to consider the different modes of collective action, and to start a conversation about possible next steps for those interested in joining this dialogue. ​Access the full article here. ​ The financial crisis in Greece brought about significant changes in the sociopolitical and financial landscape of the country. Severe budget cuts imposed on the arts and performing practices have given rise to a new aesthetic which has impacted the themes and methodologies of contemporary productions. To unpack this aesthetic, I explore the ways that the discourse and the experience of precarity molded methodological frameworks for artistic production in Greece during the crisis. 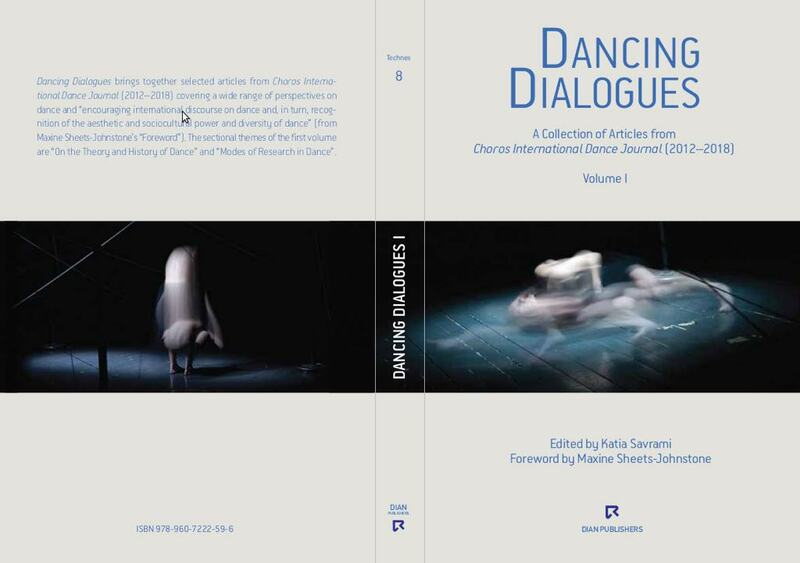 Specifically, I address trends constitutive of a ‘precarious aesthetic’ in dance performance on Athenian stages and highlight the ways that the uncertainties caused by the financial crisis in Greece served as an opportunity to rethink dance performance aesthetics, devise new approaches to creation, and advocate for sociopolitical change. ﻿ Since 2009, the financial crisis in Greece has brought about a need to revisit the past and challenge previous historical assumptions in order to understand the socio-political present more effectively. Dance, and performing arts in general, have reflected this urge by giving voice to marginalized events and perspectives in Greek history, and by challenging the dominant rhetoric of ancient Greek lineage and continuity that often overlooked the significance of ethnic minorities. As such, the focus has shifted away from a sense of unity towards a fragmented understanding of Greek identity that is re-envisioning history and documenting the present by taking into consideration under-represented communities, such as ethnic minorities and immigrants. Click to download the article. Appropriations of Hellenism: A Reconsideration of Early Twentieth-Century American Physical Culture Practices. 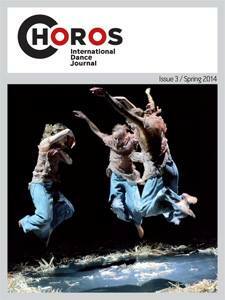 CHOROS International Dance Journal, 3 (Spring 2014), pp. 50–68.